Home » Uncategorized » Regarding downloading of some CME futures like 6A, 6B…. 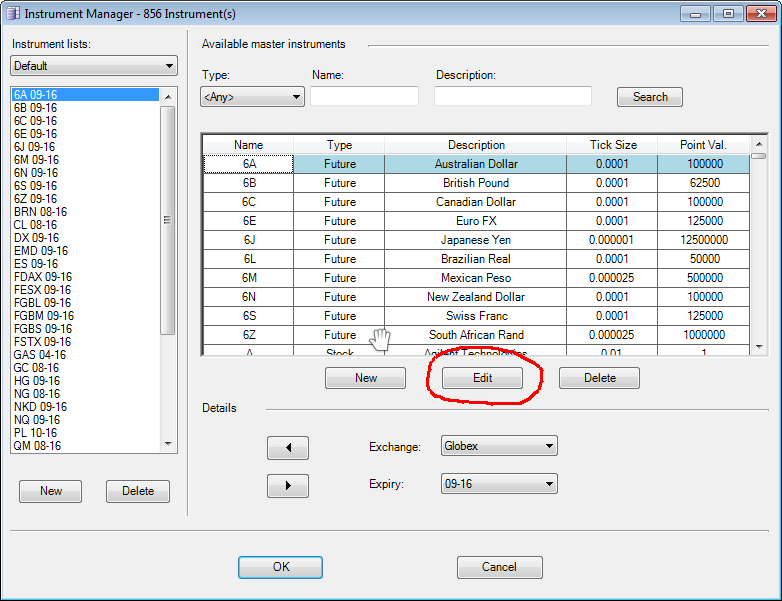 NinjaTrader rollover information is incorrect for futures 6A,6B and similar. 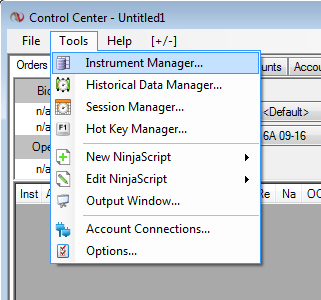 In NinjaTrader Control Center select menu item Tools -> Instrument Manager. 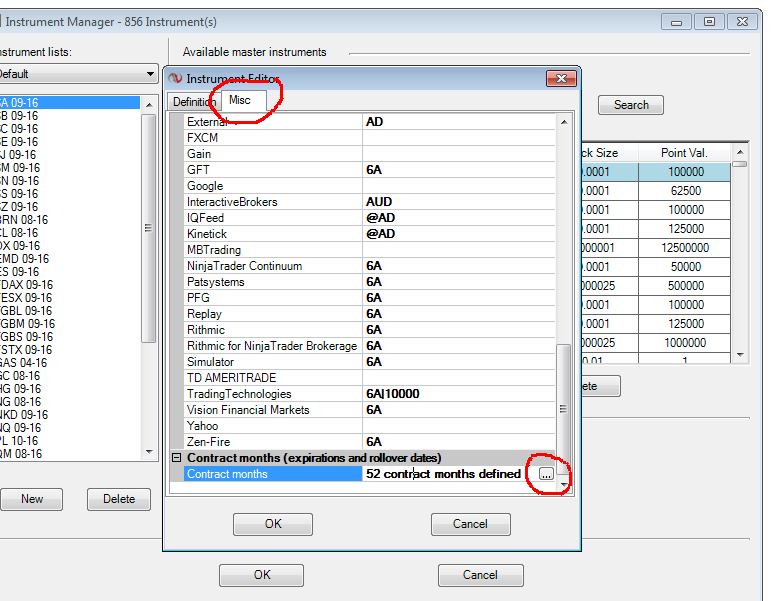 Select instrument to edit, for example 6A. Select tab “Misc” and click on ellipses. 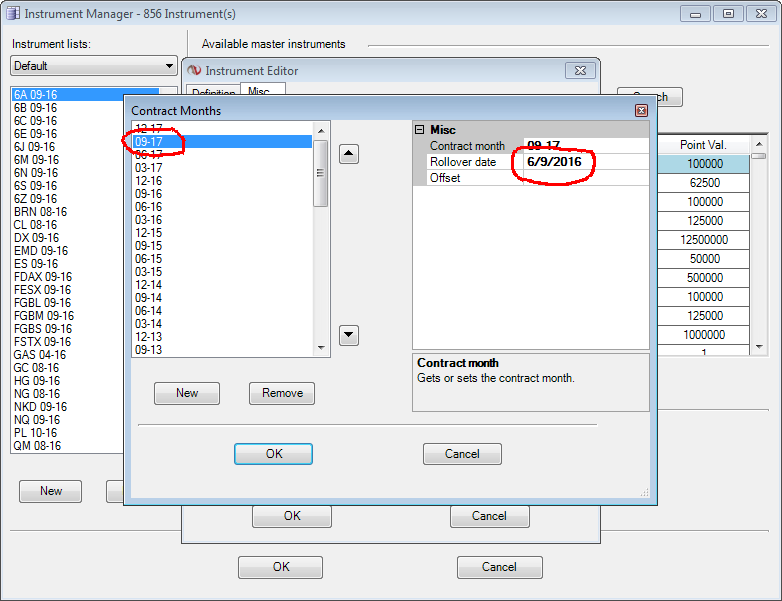 Fix rollover year from 2016 to 2017 for instruments 06-17 and 09-17. When a fix will be available for our Add-On you will get an automatic notification when you start Batch Replay Downloader.